Fox NewsOn her show Thursday night, Laura Ingraham disavowed her white-supremacist supporters. The Fox News host Laura Ingraham on Thursday walked back statements on immigration that had sparked fury and prompted many critics to describe her as racist. White supremacists lauded Ingraham for her comments, including the former Ku Klux Klan leader David Duke, who wrote minutes after the segment that it was “one of the most important (truthful) monologues in the history of” the mainstream media. He later deleted that tweet. But much of the reaction was distinctly negative, with some even calling for a boycott of the companies that advertise on Ingraham’s show. At the top of her show on Thursday night, Ingraham addressed the outrage and disavowed the support she had received from white nationalists. She also appeared to reference Duke, though she didn’t name him. Ingraham’s latest comments did little to stymie the public outrage over her initial ones. “You don’t get take backsies,” Cupp wrote. After Ingraham’s initial comments, a wave of people expressed outrage on Twitter. Anthony Scaramucci, President Donald Trump’s onetime communications director, described Ingraham’s comments as “ignorant” in an interview on CNN. 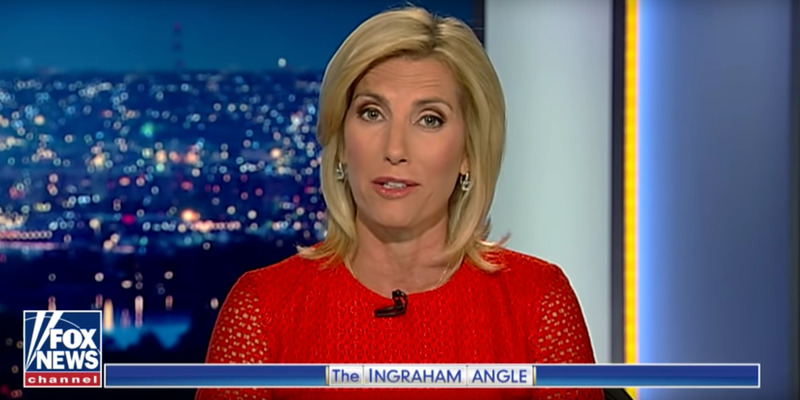 Laura Ingraham complained bitterly about America's "changing demographics," and now says she was just referring to secure borders, not race or ethnicity… you know, what "demographics" means. If you're a company still advertising on her show, I have no idea what you're thinking. Woke up to the headline "Laura Ingraham Distances Herself from 'Racist Freak'" – apparently, Laura Ingraham doesn't realize she is the racist freak.